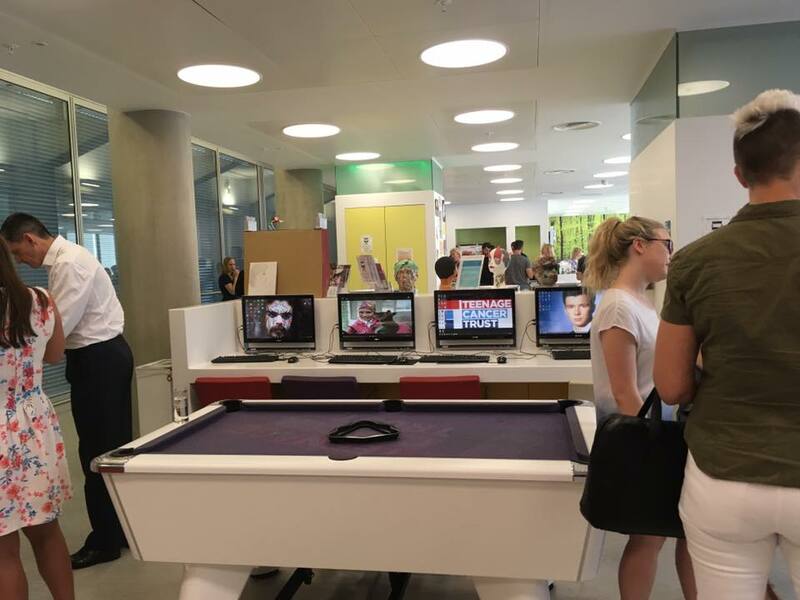 On Tuesday, DHQ took some time out of our busy schedule to visit the Teenage Cancer Trust hub at University College London Hospital, where we’d been invited to a supporters event by TCT. We heard inspiring stories from the TCT team and met some of their survivors who told us how important the TCT has been for their journey. We, and TCT, want to thank all this year’s dumballers once again for raising a staggering £158K plus Gift Aid. But where does that money go? 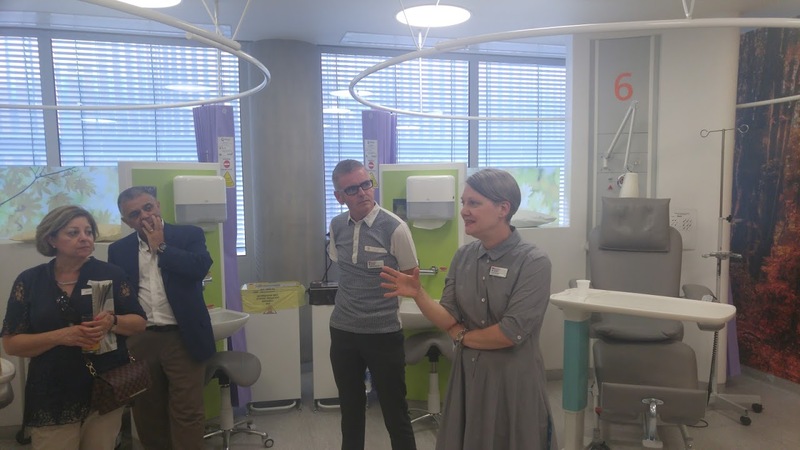 Well, most of it goes on the amazing facilities that the TCT includes in their wards for young people. Like these treatment pods, which allow the patients to sit up, interact and be in comfortable surroundings while they get treated, constructed of one piece of plastic to reduce the chance of infection. Or these PCs and games areas for relaxing before and after treatment. Even the concrete used in the building is a specialist mix designed to reduce the chance of infection – but still allowing the exposed concrete look the architects want. 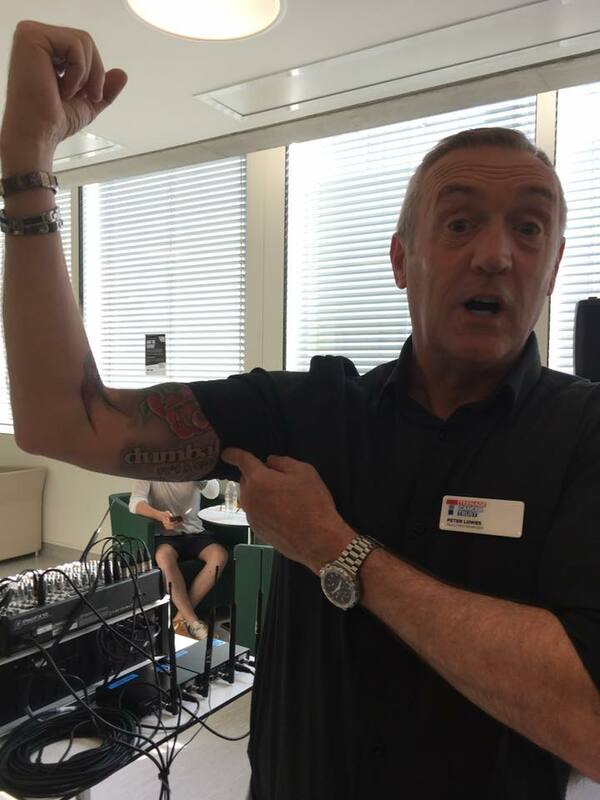 But most importantly it goes on their amazing staff – like Pete who came with us in 2016 on ‘It’s a Goa!’ and had such a good time he actually got a dumball tattoo. Responsible for TCT facilities nationwide, he says his most important jobs is making sure the have the best teenager-ready WiFi in any hospital. 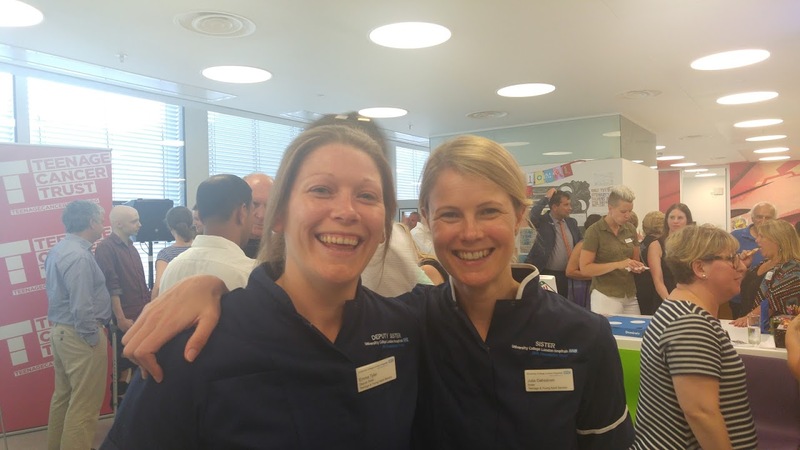 And of course all the medical staff from the NHS that TCT works hand in hand with. 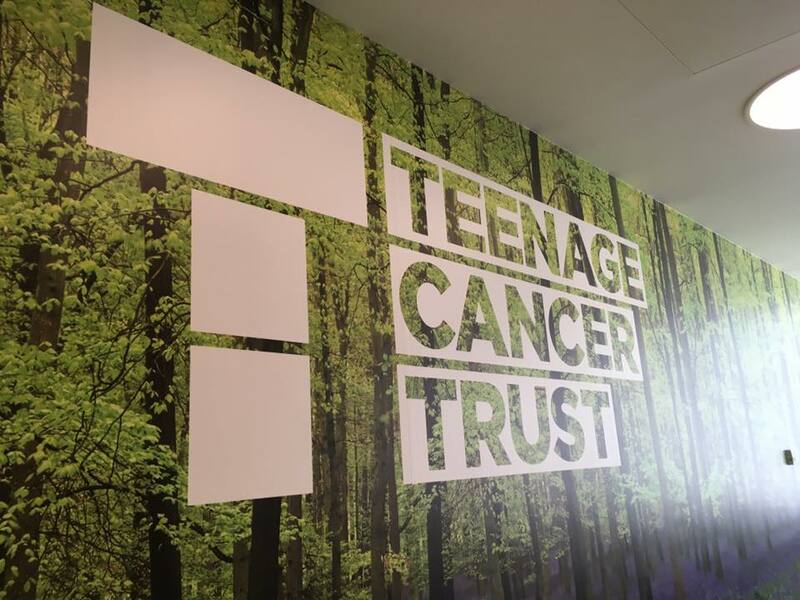 TCT only reaches 1 in 2 young people with cancer. With your continued help, we can help TCT give even more youngsters the support they deserve.